Delving into a renovation without thinking certain things through can lead to disorganized chaos! Thankfully, Accent Renovations in Kelowna has been working with residential and commercial clients for decades and has some pertinent tips on how to strategically organize your renovation from inspiration to installation. Knowing what to expect ahead of time can save you time, energy, money and tears. Our highly professional team encourages you to keep the following in mind. We take pride in bringing more value to your space and strive to deliver a more useable and appealing area that is highly functional and reflective your personality. Jotting down some key words that describe your current home style and what you are hoping to see once your project is complete is a great place to start! Prior to making any design decisions, consider what aspects are most important to you, according to needs vs. wants along with functionality and aesthetic. Determining which features are vital will help you stay on track with your design decisions and enable you to create a realistic budget and avoid disappointment. Once you have decided on your ultimate design, stick with it! It can be easy to become sidetracked with all of the possibilities and this can negatively affect your timeline and your budget. Our focus is to ensure our clients have a realistic scope of their expectations in order to facilitate a smooth renovation process from start to finish. A successful renovation has to reflect your individual needs, personal tastes and what works best for your household. Forget the latest trends and focus on what you require to optimize your space. Assess your current lifestyle to determine how a streamlined renovation can help provide more organization, space and personality. Analyzing the current state of your household dynamics and taking note of which areas will benefit the most from improvement is a great way to begin understanding what your priorities might be. Accent Renovations can help you transform your residential or commercial space with careful planning and consideration. Prioritizing the features of your project is absolutely necessary for creating a realistic budget and avoiding disappointment. Are you removing or adding structural walls? Do you need to relocate plumbing? While it can be easy to focus on the aesthetic end-result, often a myriad of engineering processes and trades may be involved to realize your vision. Be aware that unexpected surprises including asbestos, mold and bringing certain areas “up to code,” may arise. Having some flexibility on finishing touches can help you free up extra funds in the case of an emergency. Prioritizing ahead of time gives you the adaptability and confidence to make decisions in the event you need to be flexible on your final additions. Our team is dedicated to communicating with you throughout your renovation. If something unexpected arises, take comfort that you will be the first to know! We cannot emphasize enough the importance of being calm and patient during this process. Renovations often mean living with people working in your space for extended periods. Communication is key to ensure everyone’s needs are met. Compromise is also a vital component to your renovation success. There has to be a certain amount of give and take when recreating space that multiple people will be thriving in. 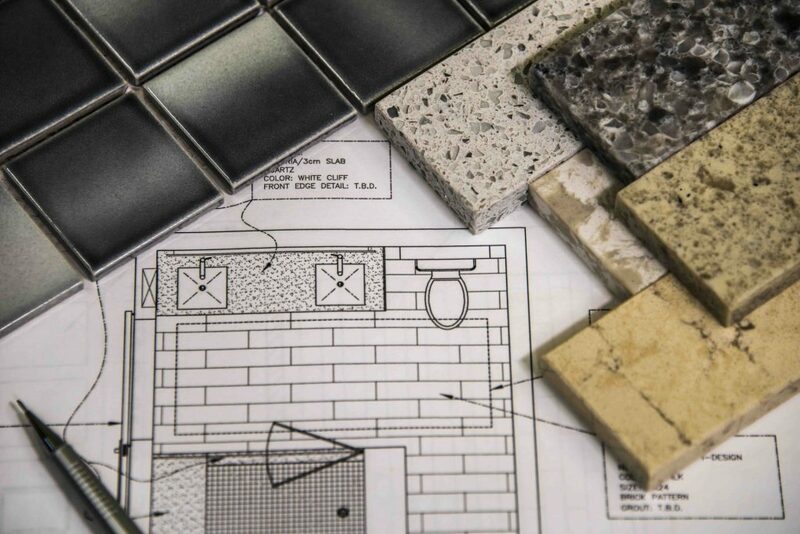 No matter what, Accent Renovations will work with you to balance the priorities of your renovation and determine the right solution for your project. We are proud to have achieved the prestigious Tommie Gold Winner award numerous times. Check out our extensive portfolio to discover if Accent Renovations is the right fit for your next remodel.